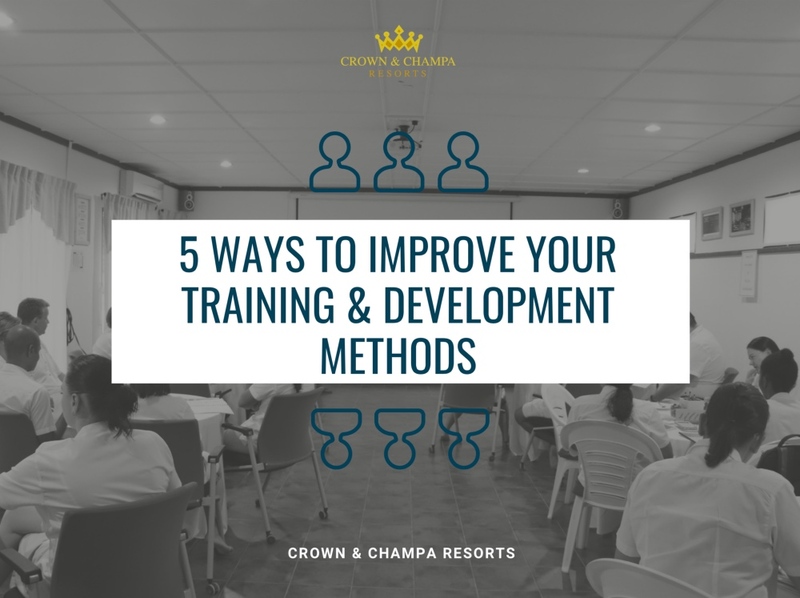 In Crown & Champa Resorts' 3rd edition of the Secrets to Success series, download your FREE and informative copy of the 5 ways to improve your Training & Development methods to increase your competitive advantage in the hospitality industry. Find out how training and developing employees serves to holistically embed the values, vision and goals of any company. In the hospitality industry, Training & Development is an essential department, where employees are further equipped with a range of skills designed to enhance their job performance and shape their overall career goals. Open communication and genuine partnership are some of the reasons why the Training & Development Department at Crown & Champa Resorts is so successful and essentially, one of the leading teams in the Maldives. Year after year, Crown & Champa Resorts continues to grow as leading Resort & Hotel brand in the Maldives, which currently manages a total of 8 properties with several new developments underway. Follow the Secrets to Success series to find out how.